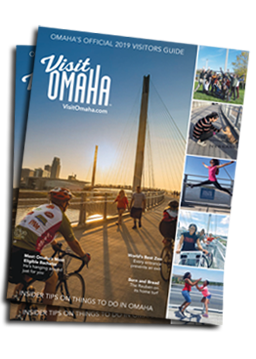 With more than 15,000 hotel rooms in the Omaha area, there are a variety of different options available when you visit Omaha. From boutique hotels and Four Diamond properties to water parks and suite-style lodging, Omaha offers comfort and class with a heavy dose of hospitality. Wherever you stay, you&apos;ll find restaurants, shopping, and interesting things to do conveniently located nearby. Enjoy your stay! Search the hotel database by location, type and amenities. Included on each hotel listing is a Map feature displaying places of interest near that hotel. On each hotel’s page you’ll find offers and nearby events, if applicable. To search by budget, click here, enter your travel dates and view hotel rates. Average Rate is provided by Book Direct. Rates are based on the lowest available rate in a 3 day period. Rates are not guaranteed. Tip: Kick back, relax and let the food find you. UberEats, Fast Guys and Skip the Dishes all offer easy access to local eats.